For a daily use with its hundreds of micro-oscillations, Braun Face Normal cleansing brush gently restores amazing purity and glow of your facial skin by removing make-up and impurities. Gently prepares the skin to absorb creams and lotions. For optimal results and hygiene it is advised to replace the Brush head every three months. It comes as a duo pack, so you are equipped for a full 6 months. 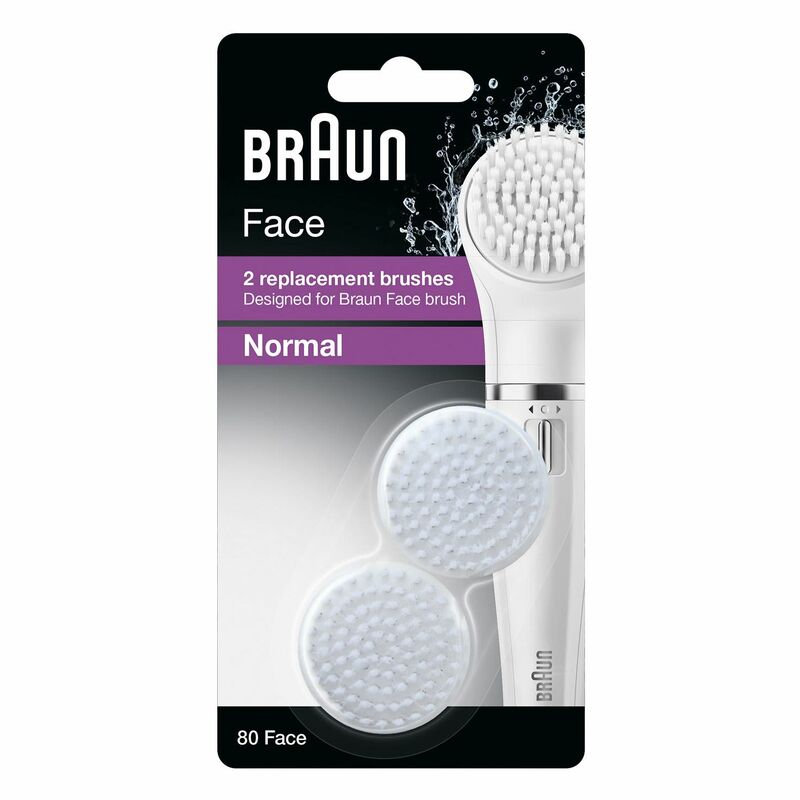 6x Better than manual cleansing <br> <br> For a daily use with its hundreds of micro-oscillations, Braun Face Normal cleansing brush gently restores amazing purity and glow of your facial skin by removing make-up and impurities. Gently prepares the skin to absorb creams and lotions. <br> <br> For optimal results and hygiene it is advised to replace the Brush head every three months. It comes as a duo pack, so you are equipped for a full 6 months.